Our trip today would take us east from Ubud, all the way to the coast at Amed, which we'd heard had a beautiful black sand beach. Justine came with us - Steve was still feeling a bit under the weather and decided to stay home. 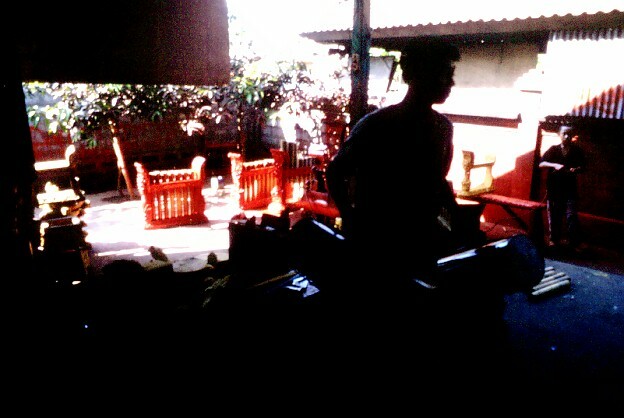 But before we headed off for Amed, Dewa had a special treat for us! 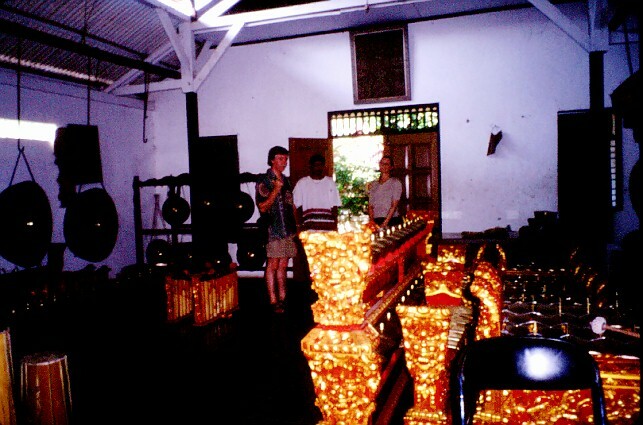 We'd talked to him of our fascination with gamelan, and he told us he would take us to a gamelan factory in Blahbatuh. Heaven! 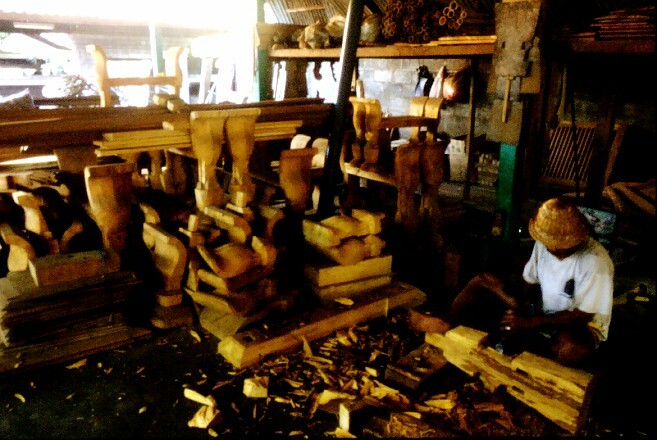 This guy is carving the side parts of jegogans - the "bass" instruments in the gangsa metallophone section of the gamelan. It's all done by hand, with little or no machining. Outside, the jegogans were being painted red. They later get a beautiful gold detail painted on them - again, all by hand. Here are a lot of gansga frames stacked up and waiting to be painted. 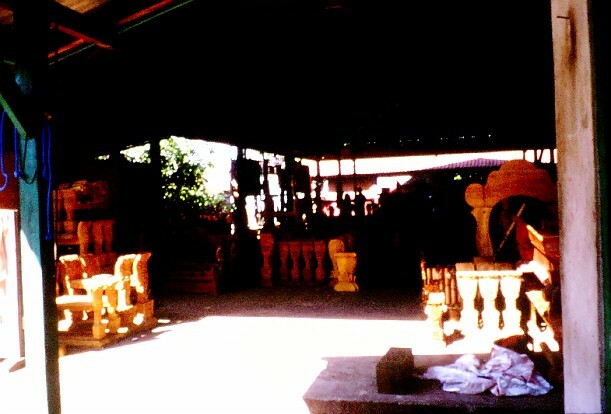 You can also see a small gong (kempur) at right. 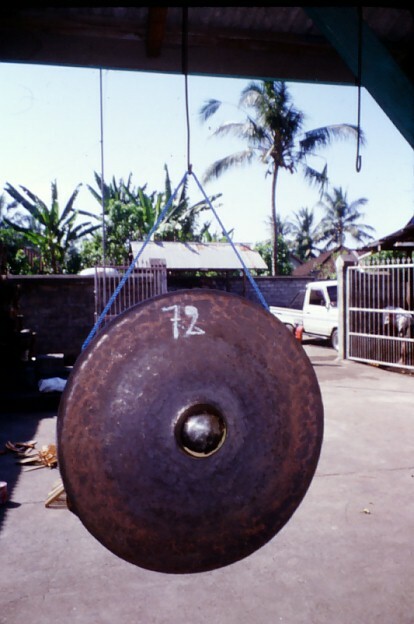 The thought of buying a gong wouldn't leave us throughout the trip, and in the end both Steve and we bought large gongs for our gamelan.